The home side started brightly, and capitalised on their advantage with a simple but well worked opening goal on six minutes. 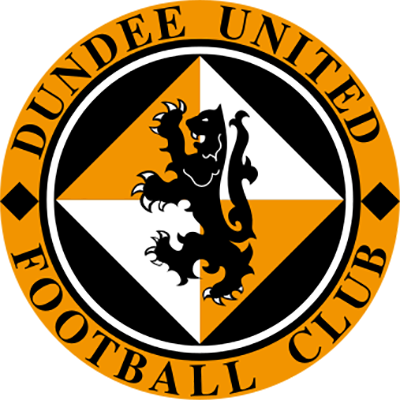 Kevin Thomson easily shrugged off the challenge of Fernandez inside the United half, before passing to Riordan on the corner of the area, who cut inside, and found an abundance of space to shoot low into the left hand corner of the goal from 18 yards. Despite the home side’s dominance, United could twice have drawn level against the run of play. In the 11th minute, Grant Brebner spotted Brown off his line, but with the keeper struggling to get back, his shot from fully 30 yards clipped the top of the crossbar on its way over. Ten minutes later, however, Mark Kerr had a far better chance to restore parity. After showing good reading of play to gain possession in midfield, Kerr played the ball out wide to Duff, whose cross was met with a cushioned knock down by Lee Miller. The ball dropped to Kerr, six yards out and with a clear sight of goal, but he could only slice his shot tamely wide. Basic mistakes such as that have been punished regularly this season, and once again United were to regret this miss, when in the 25th minute, when Killen played a pass out to the left where Riordan checked, and crossed to the far post. 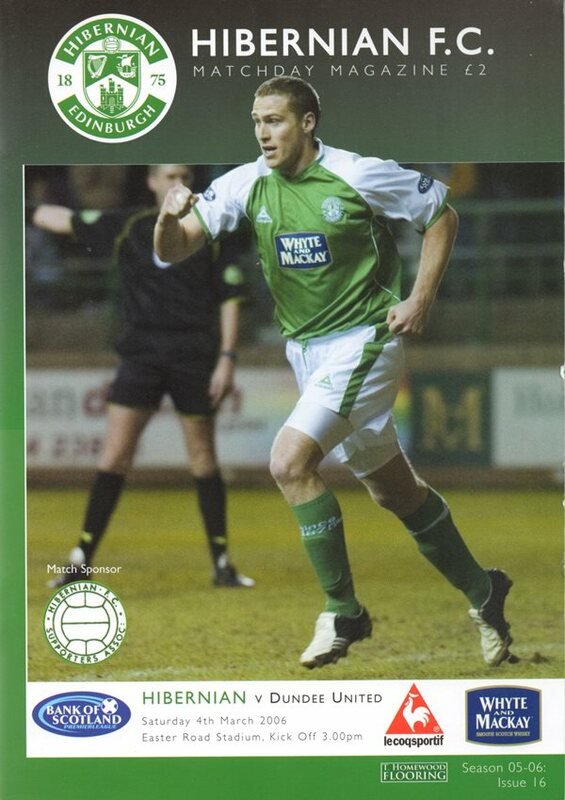 With Samson beaten, and aware of a Hibs player behind him, Alan Archibald attempted to head over his own bar, but only succeeded in planting a header high into his own net. 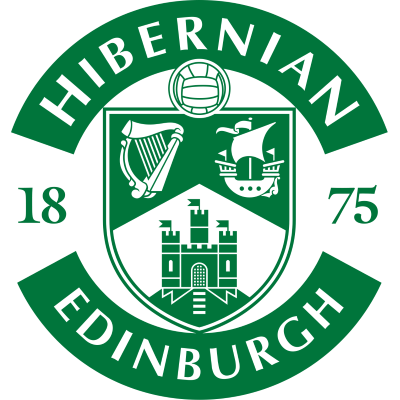 Hibs’ superiority in all departments was further demonstrated with a clinical third after 33 minutes. A long ball from his own half by Derek Riordan found Chris Killen, who took on Garry Kenneth and turned the United defender inside out with ease on the left side of the penalty area before firing a superb finish across Samson and in at the far post. Craig Brewster made two changes at half time, with Collin Samuel replacing David Fernandez, and David Robertson replacing Stuart Duff. It took less than two minutes for Robertson to make an impact, but it was only to get himself booked for a foul on Murphy. United did show more promise going forward in the second half, with Robson’s shot on the half volley turned behind by Brown, and McCracken flashing a free header wide from Robson’s free kick. 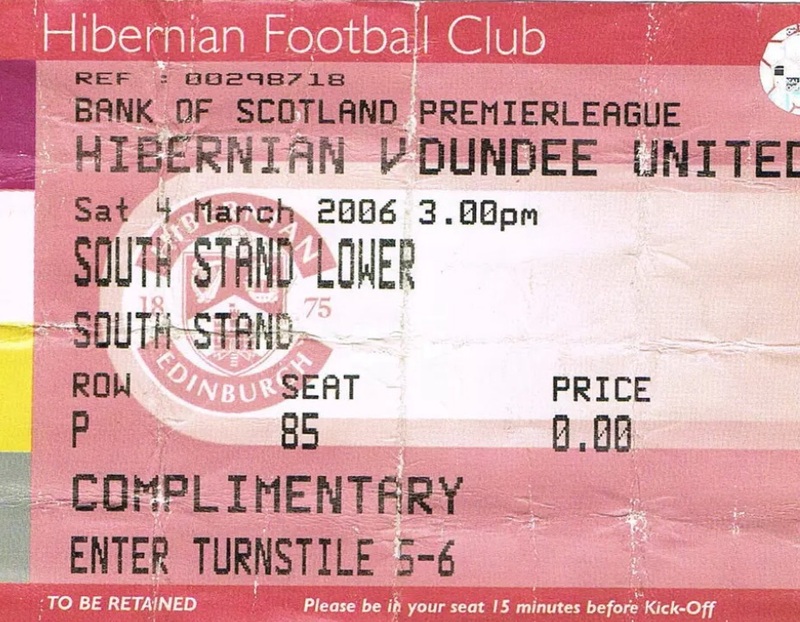 At the other end though, United still looked hugely fragile at the back, and a Hibs counter attack saw Dalglish’s rasping shot from twenty yards tipped over by Samson. After an inventive Hibs free kick had seen Glass’s cross just evade Killen in front of goal, a free kick for the visitors was headed back into the danger area by Robson. David Robertson made a late run, but despite doing well to reach the ball, could only direct it wide. Collin Samuel should have given United a consolation with a quarter of an hour left, after being left unmarked in the area to receive Robson’s cross, but after controlling on his chest, the Trinidadian tried to dink the ball over Brown who stood up to easily block. Samson did well to turn behind a close range Sproule shot with eight minutes remaining, after the winger had stolen in at the back post to meet Riordan’s cross from the right, before David Goodwillie, on the pitch for less than three minutes, tapped in to become the SPL’s youngest goalscorer after Samuel’s cross had hit the bar, and Robertson had hit the post with the rebound.